This past Thursday, Anfield Sports and Community Centre (ASCC) celebrated its official opening following a £2.3 million investment that will offer improved sports facilities and programmes to people living in north Liverpool. Improvements at the centre include a new full-size, floodlit 3G pitch, a three-court sports hall, the refurbishment of existing artificial grass turf pitches and a new commercial office space and cafe. 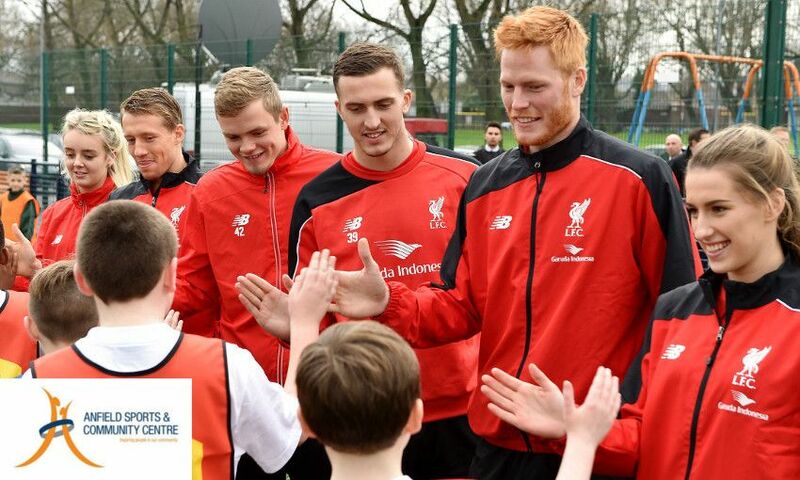 The redevelopment is part of ASCC’s '4 Football 4 Everyone' project and has been funded by a number of supporting partners, including Liverpool FC, Liverpool City Council and the Premier League & FA Facilities Fund – facilitated by the Football Foundation, Sport England and the Johan Cruyff Foundation in conjunction with the People’s Postcode Lottery. One of the key developments has been the construction of a ‘Cruyff Court’, a state-of-the-art facility for sports as well as health and personal development support. It has been funded by the Cruyff Foundation in conjunction with People’s Postcode Lottery and is only the third such facility in the UK and the first outside London. Liverpool FC will use the centre as a base for charitable activities in north Liverpool through its Foundation, which already runs a range of programmes from ASCC. Liverpool FC first-team players Lucas Leiva and Adam Bogdan, Liverpool Ladies' Shannon Beckwith and Mollie Green, and Liverpool FC U21s' Ryan Fulton and Andrew Firth all joined the celebrations on Thursday. They also took part in Liverpool FC Foundation’s showcase with local schools and awarded prizes to the winning teams alongside the club’s official mascot Mighty Red. Patricia Smith, chair of the ASCC, commented: “We are extremely grateful for the support we’ve received from our all of our funders. A lot of hard work has been invested by ASCC staff, the project team and our key stakeholders to secure all the funding we needed to deliver this project. "It has been a real team effort and we are delighted to share it with the wider community. Ian Ayre, chief executive officer of Liverpool FC, added: “This centre is a very important resource for the local community and we have been delivering our charitable programmes here for some years. Cllr Ann O’Byrne, deputy mayor of Liverpool, said: “The Anfield partnership has achieved a lot so far and the opening of the Anfield Sports and Community Centre is yet another significant milestone on the road to the area’s regeneration. “These kinds of centres are very important to promote health and wellbeing and I’m delighted that this great new facility is now open for use. It will make a real difference to Anfield and many congratulations to all those who have worked so hard on the project.